(TibetanReview.net, Jul02, 2016) – The 81st birthday of Tibet’s exiled spiritual leader, the Dalai Lama, was marked in the French parliament building on Jun 29 with the Bureau du Tibet, Paris, holding a reception attended by a number of Deputies and Senators as well as members of parliamentary staff and others. They included the Co-Presidents of the Tibet Group in the National Assembly, Mr Noel Mamere and Mr Jean-Patrick Gilles. Welcoming the guests, which included deputies, senators, assistants of parliamentarians, representatives of French Tibet support groups and NGOs, as well as representatives of Tibet Community in France, Mr Gilles reiterated French Parliamentarians’ support for the Dalai Lama and the Tibetan people in their quest for basic human rights and freedom of expression. Mr Mamere also paid tribute to the Dalai Lama not just as a spiritual leader but also as a humanist with a wide following in France. He also spoke about the importance of Tibet’s environment, particularly its position as the Water Tower of Asia. The retiring Special Representative of the Dalai Lama in Brussels Mr Kelsang Gyaltsen called the gathering an important gesture of support for the Dalai Lama and Tibet in a difficult period of Tibetan history and as a source of inspiration for the Tibetan people. 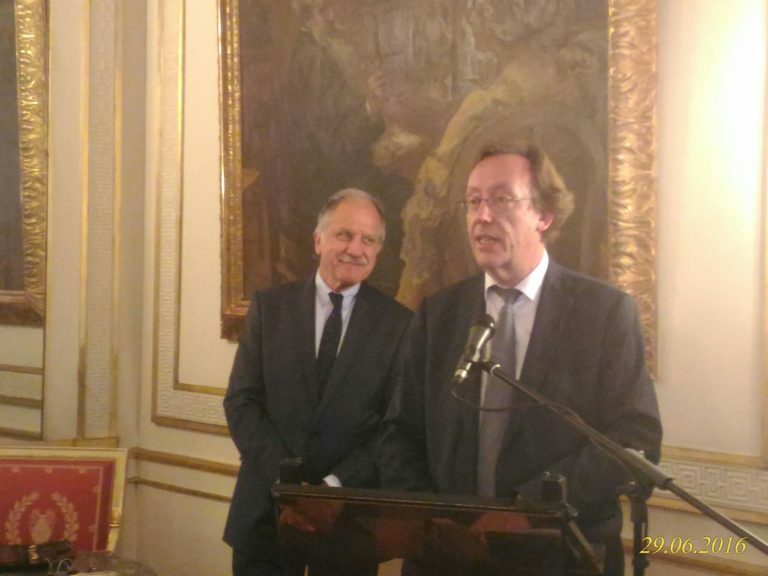 The reception was hosted by the Bureau du Tibet with the Tibet Groups in the French National Assembly and Senate.